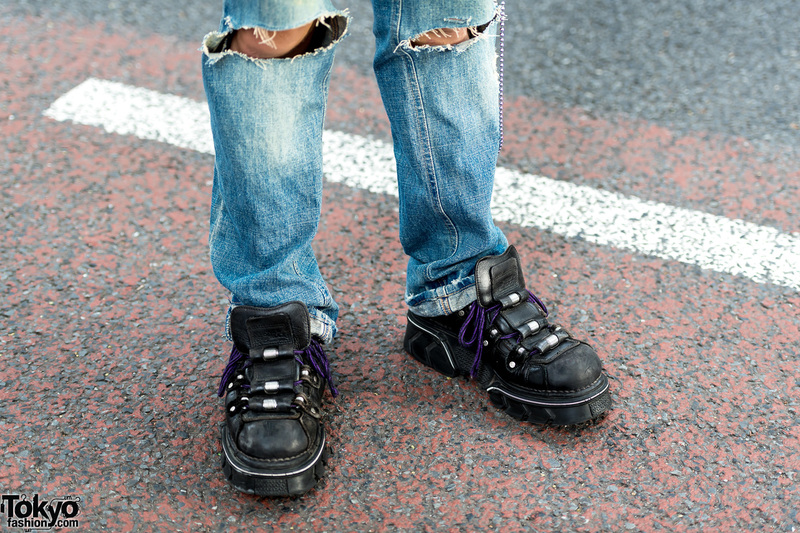 In Harajuku, we met with Sei and Sou, two Japanese teens who we often feature on our street snaps section. At the left we have Sou, a 17-year-old student. Sou is wearing a blue-and-white World Livlet zip-up vest, worn with denim pants with a slightly flared hem and black platform shoes from Funtasma. 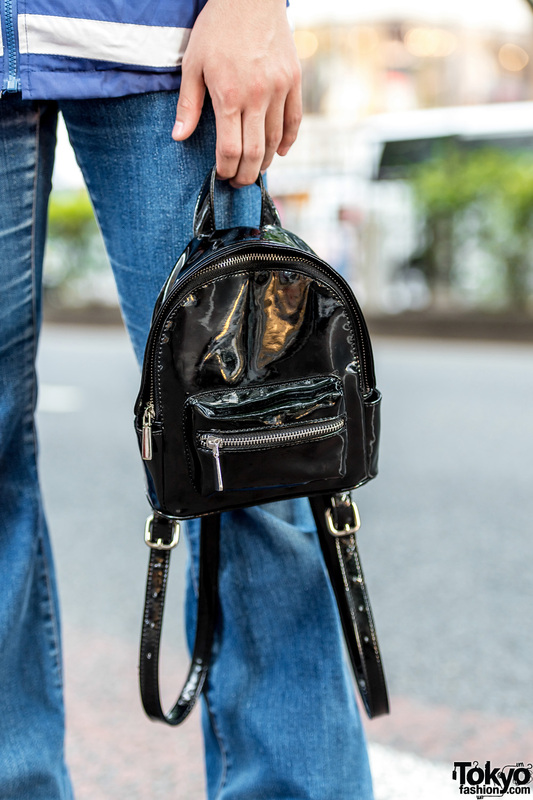 A mini patent leather backpack from Forever21, a silver chain necklace, a silver ball chain bracelet, and a silver chain with a Vivienne Westwood keychain flask completed Sou’s ensemble. 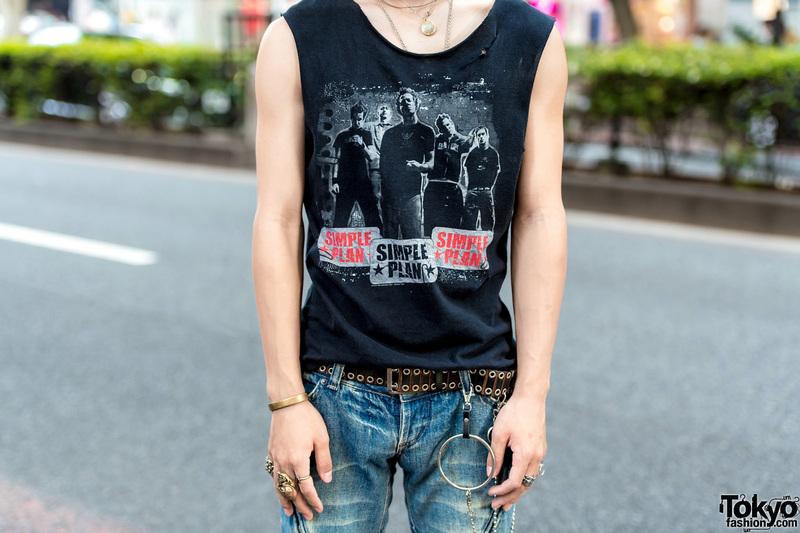 His favorite fashion brands are Comme des Garcons and Keisuke Yoshida, and he likes the music of Boowy. Follow Sou Yokoo on Instagram. Meanwhile, Sei is clad in a vintage sleeveless Simple Plan band tee, which he paired with ripped denim pants and cinched with a double grommet belt. 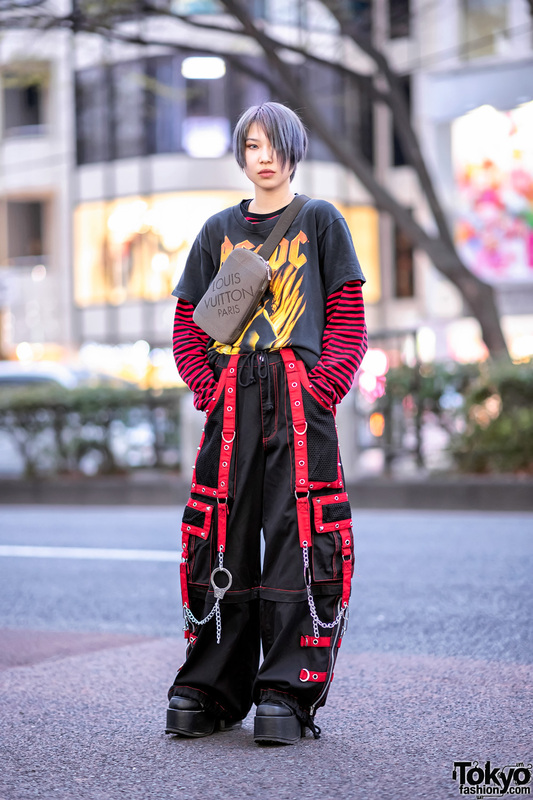 The 16-year-old finished off his edgy look with black New Rock sneakers with purple laces, and accessories such as silver cross earrings, layered necklaces, multiple knuckle rings, and silver ball chains. 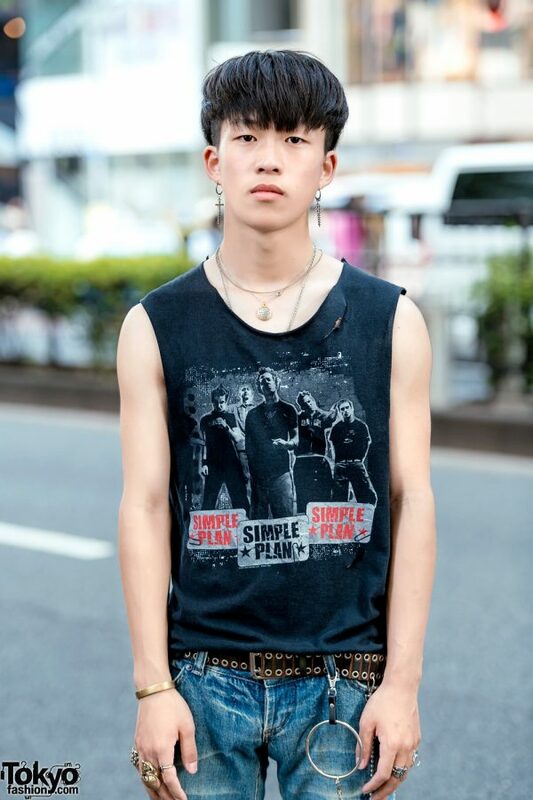 Sei enjoys listening to Big Bang, and he is also active on Twitter and Instagram.